Do you really think digital camera would still be in use in the nearest future? Well with the fast rate of development in the smartphone market, digital cameras would soon be a thing of “the past”. 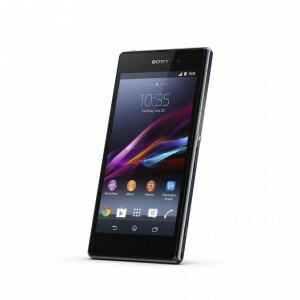 Sony officially announced in berlin their newest smartphone in the Xperia Series; Sony Xperia Z1. Sony Xperia Z which is the predecessor of the Sony Xperia Z1, was a smartphone packed with amazing feature and most thought it was going to be the last of the Xperia series. Now Sony is at it again with Z1. The Xperia Z1 is thicker, bigger and has more weight.Its battery power of 3,050mAh which means that there is a higher talk time and standy time as compared to Xperia Z Ultra. It has a aluminum body and also longer in length. The Sony Xperia Z1 runs on Android 4.2 and has a powerful Snapdragon processor clocked at 2.2GHz backed up with a RAM of 2GB. The internal storage is 16GB, and yes it is expandable with the microSD memory card. If you liked the Xperia Z, you would surely love the Xperia Z1. It has a powerful camera of 20.7 Megapixel and a front camera of 2.2Megapixel. Although Nokia Lumia 1020 still has higher stands, it deserves its slogan as given by sony “The best of Sony is now even better” and will surely dominate the market for a long time. Sony will release the Xperia Z1 in White, Black and Purple colors has been released on 20th September,2013 with a price tag 599 british pounds sterling. With the fast rate of development in the smartphone world, the price looks like something to fall any time soon. A full review and specification would be updated soon.